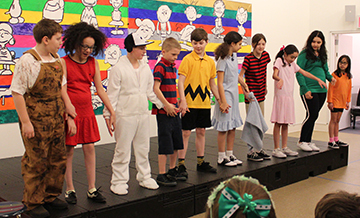 On March 17, a cast of talented Middle School students performed You’re a Good Man, Charlie Brown for an audience of friends and family. The students have worked diligently since September to stage this production, which required acting, dancing, and singing. The characters featured were Charlie Brown, Lucy, Linus, Schroeder, Sally, Peppermint Patty, Marcie, Frieda, Pig Pen, and of course, Snoopy. Thank you to all the parents, faculty, staff, and students who contributed to the success of this year’s musical! 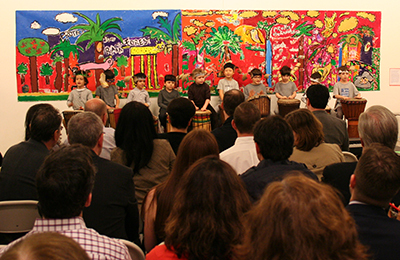 On February 4, students in Classes 617, 619, 621, and 636 showcased their artistic work to an audience of parents. Students dressed in costume and performed various songs and skits, and many examples of their visual art projects from recent months (tepees, globes, owls, masks, and even a mummy) were on display. 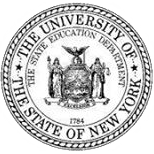 On February 5, students in Classes 609, 611, and 615 will put on a similar show. 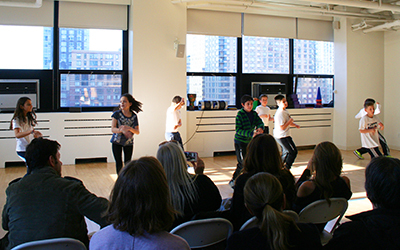 On December 4, students in the 5th and 6th grades presented their Arts electives work to an audience of parents. This lively event showcased the children’s progress this semester in visual art, musical theatre, street dance, hip hop, martial arts, and poi. On December 10, parents of 7th and 8th grade students will have the opportunity to see their children’s work in hip hop, fencing, percussion, theatre, dance, visual art, photography, and printmaking. 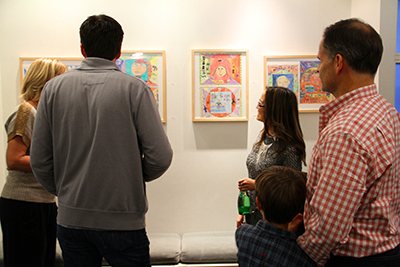 On October 4, 2015, the Child Mind Institute held an opening reception for an exhibit showcasing artwork by Gateway students. Called Beginning with the Self, the exhibit features self-portraits in watercolor, colored pencils, marker, and acrylic. Students immersed themselves in the imagery of traditional mandalas and incorporated those designs into vibrant drawings that poignantly capture each student’s complex inner world. These self-portraits also illustrate the students’ abilities to reflect on who they are, and who they are becoming. The Child Mind Institute, located at 445 Park Avenue in Manhattan, is a non-profit organization and clinical practice that is dedicated to finding more effective treatments for childhood psychiatric and learning disorders, building the science of healthy brain development, and empowering children and their families with help, hope, and answers. To arrange a time to visit Beginning with the Self, please email art@childmind.org.